UVdesk offers SaaS-based and Open Source helpdesk solution to easier the overall support process to deliver best customer service. 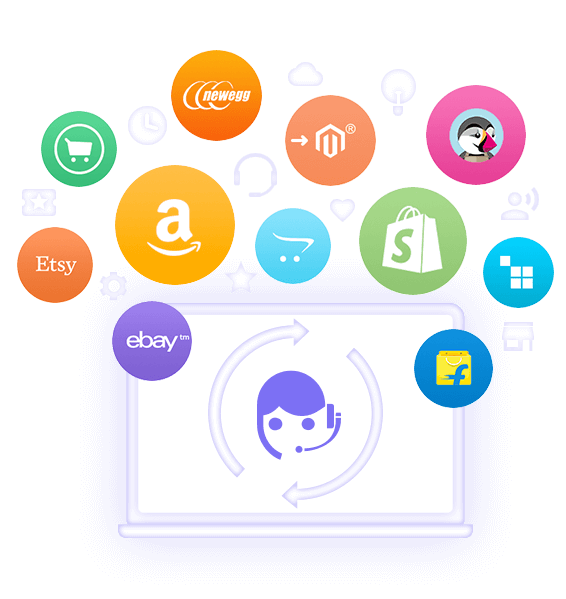 Integrate multiple marketplaces with UVdesk to support your valuable customer. eg-Amazon, eBay, Etsy, Flipkart etc. Bridge the gap between eCommerce store and customer to respond faster. eg - Magento, Prestashop, Shopify, CS-Cart, Opencart etc. Design your website front office forms as per your convenience. 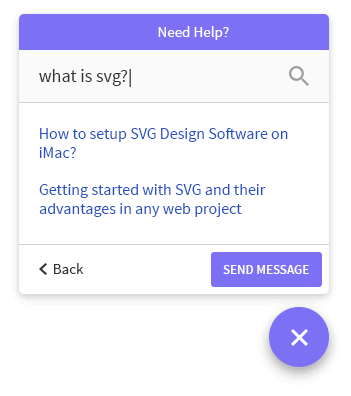 eg - Contact Form, Feedback Form, Suggestion Form etc. Configure multiple email service providers with one platform to provide all around support. eg - Gmail, Yahoo mail, Hotmail etc. 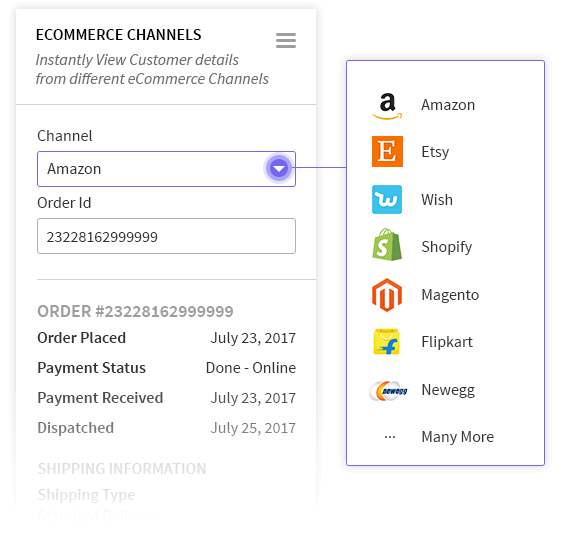 UVdesk has various free eCommerce app for fetching order details from store, mutichannel integration and single sign on. 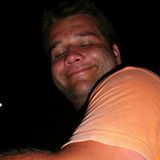 Simple, Ecommerce Store Connected, Reduce Support Time. 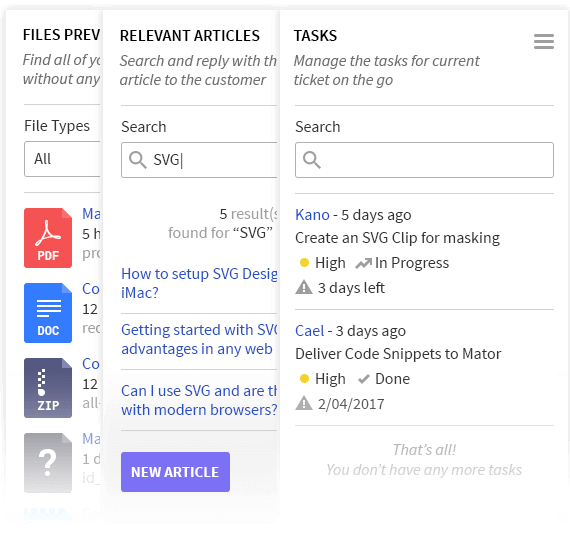 Save your time and improve productivity with the help of file viewer app, related articles, task management and much more. Smart, Automated Workflow, Agent Privileges, Saved Replies. 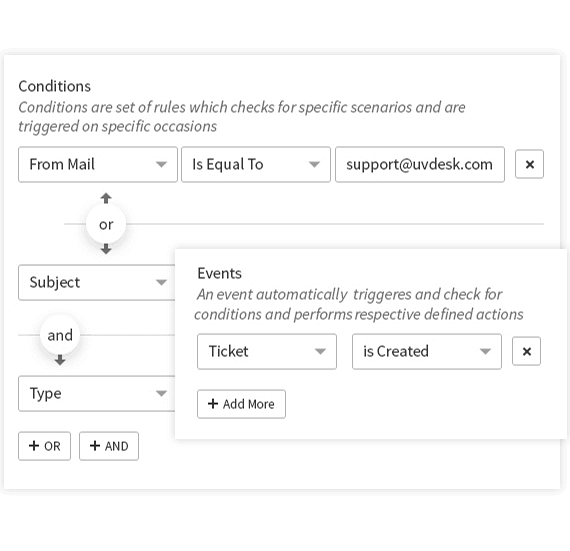 Automate your processes by creating the set of rules and presets for ticket coming from different channel to respond faster. A public library, a database of related information about specific topic. Use it as an instant knowledge base or a contact form as per your ease on your website upfront. 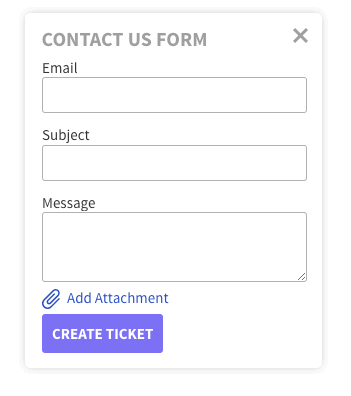 Build a form that suits the business requirements which is both beautiful and effective. Excellent service. 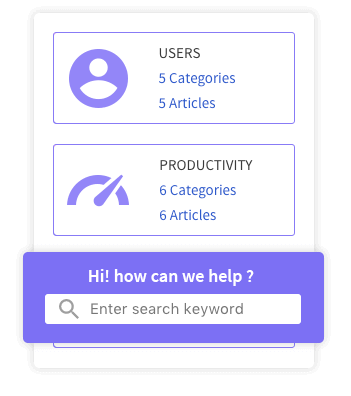 It has so many features not found in another help desk app and it is also very affordable and flexible. Support is fast and always ready to help. Great support. Looks like good software. Nice support staff. They responded quickly to their clients. Excellent support, he answers all questions, I recommend this service. 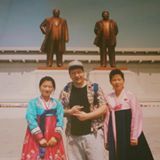 Its very good ticket system, I have used it on my website and it serves a lot. Great service and product! Fast response and great support from staff.